Tanzania is an African country. It is located on the eastern side of the continent. It is not an affluent country. It does not have a thriving economy. It is not as huge in size too. But Tanzania is a lovely place to see the beauty of nature. It has got a dense area covered with vegetation. Many varieties of animals live in here, even the species which are fifty-five million years old. Yes, you heard it right. There are a lot of interesting facts about the country. You may say “I will visit Tanzania when Elephants start to swim.” If you do, then go visit Tanzania. Because elephants which wander in the forests of Tanzania used to be sea cows. The species of Dugongs have evolved. 55 million years ago they used to swim in the rivers of forests. They were 3.5 meters long. What a sight it would have been to see elephants swim. Alas, you can’t see that but you can see a lot of wild elephants for sure. Talk about peace! Tanzania might not be rich regarding money, but it has got peace in spades. There are a lot of ethnic groups here. One hundred and twenty to be precise. Gogo, Christianity, Sukuma, Haya and many more groups reside here. The surprising thing is this country has never experienced a civil war. Tanzania has an immensely rich wildlife. The plantations are bountiful. It is a relieving to watch the country dedicate twenty-five of its land area to conservation. Many developing countries are finding new reasons for cutting plants. But Tanzania has taken the responsibility of preserving its natural heritage. 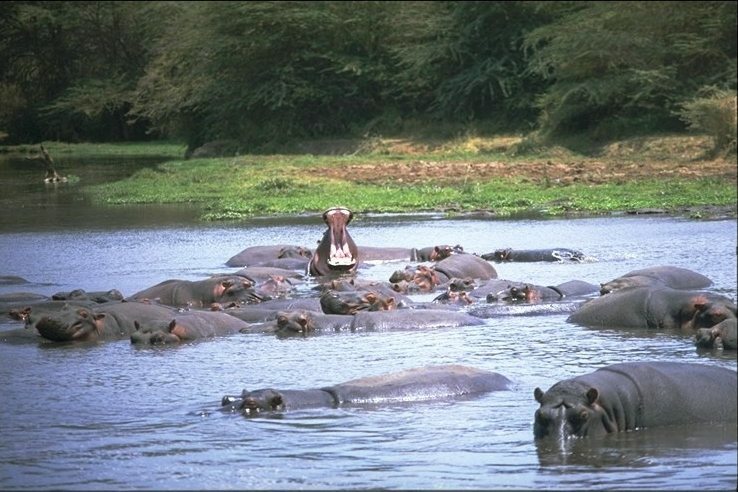 The largest reserve in Africa is Selous game reserve. It will not bite you. Don’t be afraid by the mere size of it. Tanzania is home to the biggest coconut crab in the world. You should not be intimidated by it. Just try a recipe of it. You will love how it melts in your mouth. It is found on Chumbe Island. Don’t wait. Head to Zanzibar and taste the largest delicious coconut crab in history. The number of tourists visiting Tanzania has increased not because of its good relations with different countries but because of its rich nature. It has the highest mountain in Africa. The Mount Kilimanjaro pierces the sky. It is 19,341 feet above sea level. It can be bathed in the snow at cold time of the year. We know that Tanzania is popular for its wildlife. It has got the highest concentration of wildlife animals in Africa. It has a total of four million animals. There are four hundred and thirty species of mammals alone. Around a thousand species of birds are found in the reserves. Many wild animals can be seen in Tanzania. From water birds to hippo, warthog to the crocodile. You can see wildness of nature. Do you have an interest in archaeology? Then you will love this piece of information about Tanzania. The evidence of earliest human existence is found here. Olduvai Gorge is a must visit for archaeologists. It is nestled between Serengeti National Park and Ngorongoro crater. In 1959 the first hominin skull was unearthed by Mary Leakey.